Google is day by day making our daily search experiences better and amusing . Whether they have a playable google doodle or their search gimmicks . Yet , google never stops . The new and better things keep coming from google . This time they have introduced the new way to search from mobile devices . They call it the Google Handwriting . It is currently available in 27 languages . What makes it fun - you just enable this feature on your device and go to google homepage . Now start drawing the alphabets of the words like in any drawing app . Google will translate your drawing into the search bar and show you recommendations . Note: The Handwrite feature works best in the native Android browser on Android 2.3+ phones, Android 4.0+ tablets, and iOS 5+ phones and tablets. It's available when you visit Google.com in your browser, and not in other search boxes found on your device, like within apps. Turn the feature on or off in your search settings. Touch Settings at the bottom of the Google homepage or a search results page, or visit google.com/preferences. Go to the Handwrite section, select Enable to turn on the feature, and then touch Save. Tap at the bottom of the screen on iPhone, or at the top of the screen on iPad. Note: On devices running iOS 4.1 or earlier, tap the + icon. Tap Add to confirm. A new Google icon will appear on your home screen. Note: You might need to refresh the homepage to see the feature. Tap the Handwrite icon in the lower right corner of the screen on your mobile device. Use your finger to start writing your search terms anywhere on the screen. 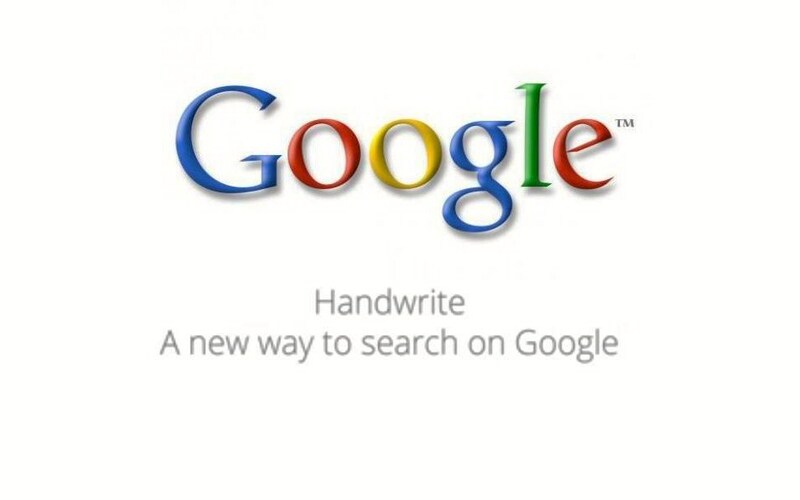 While you write, your handwritten text converts into typeface in the search box. If you need to delete a letter, tap the backspace icon . Press and hold the backspace icon to delete more than one letter at a time. Click X in the search box to start over again. You'll see a list of predicted queries below the search box as you write. Tap one of them to search for that prediction, or click the arrow to the right to build your query and keep on writing. Tap the search icon to search. When you have enabled or installed this feature on your device , you will notice a "lowercase g " on the right bottom corner of the google homepage and the search results page . Just tap it to use it and start writing anywhere on the screen with your finger . You should write like the computer fonts . Capital block alphabets may be the best , but google recognizes most of the small letters . Give a legitimate amount of space between 2 words or your search experience won't be good . If your search is more than 2 words or your search is a very common one like "youtube" , you can just write you and the google search autocomplete will tell you what you were searching for y giving more recommendations . For more information regarding google handwrite , you can visit Google Handwrite .